My collection is inspired by color; bright, eye-catching colors. 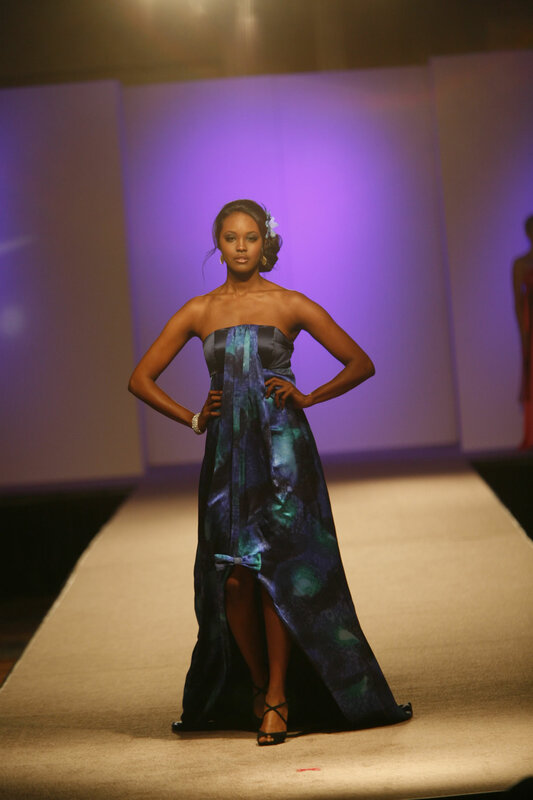 The dresses are constructed of solid and hand-dyed silk charmeuse and silk chiffon with flounces and draping. Hot pink strapless dress with gathered draped overlays. Royal blue strapless dress with hand-dyed chiffon flounced overlays on the sides. Turquoise dress with four flounces and hand-dyed chiffon draped straps.